Call Us Today for Affordable Used Truck Parts! When you are looking for used auto parts in Greensboro, NC, Winston Salem, NC or High Point, NC, there’s no better place to visit than Auto Salvage Inc. If you are in the Greensboro, NC area looking for used foreign auto parts for your car, then you’ve come to the right place. We have been serving the residents of Winston Salem, NC and High Point, NC since 1977. We carry a large selection of foreign and domestic used truck parts and auto parts which are offered at an affordable price. We keep our salvage yard very organized so our customers can find the parts they need quickly and efficiently. Rest assured that we carry parts for most makes and models. 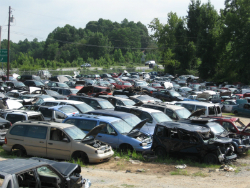 Auto recycling is a great option for every one as many broken down cars still have usable parts. You can get these parts for a much better price than you will find in a store. Our junk yard has all kinds of vehicles with various parts available. Car parts, truck parts, whatever you need, chances are we will have something for you to look through! Auto parts can be very expensive. Your car can break down at any moment and require a new part. You never really know what you are going to need until something goes wrong at the most inconvenient time. Buying our used parts will help you save money. We are confident we can provide the part you need to get your car back on the road again soon! 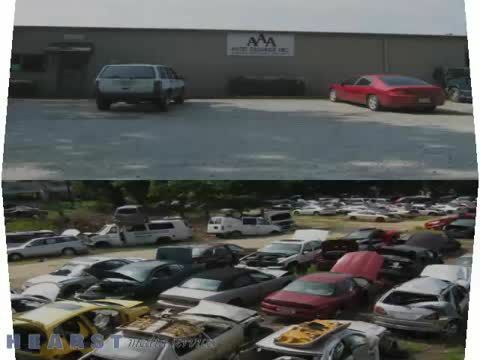 Auto Salvages Inc's primary focus is customer satisfaction. If there are particular used auto parts that you are looking for, we will do our best to find them whether we have them in stock or not. We value our customers in North Carolina and want to make sure that we provide you with the best possible service as a used auto parts provider. We know that if you aren’t satisfied, then our job is not done. We Offer a Large Selection of Used Auto Parts! Need used foreign auto parts or even used truck parts? No problem! 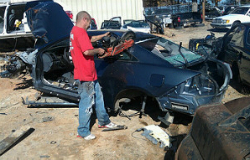 At Auto Salvage Inc in Greensboro, NC, we offer many used parts for all makes and models. Why get new parts and pay an arm and a leg when you can buy gently used foreign auto parts at our salvage yard? Call us today and check to see if we have the used parts that you need. AAA Auto Salvage Inc is the perfect destination for the DIY specialist! If you’re looking to save money, we have plenty of used auto parts for your next project. We specialize in late model domestic cars and light duty trucks. We pride ourselves on exceptional service as well as having the parts you need, when you need them. We’re dedicated to keeping our inventory stocked with high-quality used auto parts, keeping our prices low, and keeping our customers in the Greensboro, NC area happy. If you like cars, a hobby of yours might be restoring old cars or trucks. When you are working to restore an old truck and need gently used truck parts, rely on Auto Salvage Inc to have what you need. Whether your vehicle broke down and you’d like to fix it yourself, or you enjoy fixing old trucks or vehicles of any kind, count on Auto Salvage Inc. Our salvage yard has everything you need to fix or restore your set of wheels. We have it all from mufflers and radiators to transmissions and more. Let us help you to save some money and avoid headaches from going to the auto repair shop. Call us today for more information or to locate some of our used auto parts. Walk-in customers are always welcome. We are located at 5791 Clayton Street in High Point, NC. Take 311 S to Exit 19A. Merge onto 85 BL S/US-29 S/US 70. Take the Old Thomasville Rd. exit and turn left. Turn right onto Artisan Ave. and then right onto Clayton St. Call us today for more information on the used auto parts we have in stock. We also have the ability to deliver select parts to certain areas in North Carolina. You may also contact us toll-free at 1-800-672-5810 or 336-886-5076. Auto parts can be very expensive. The worst part is that you never know when you will need parts or what parts you will need. Buying used auto parts can help you save money. With our selection of domestic and foreign auto parts, we are confident that you will find what you need. THIS WEBSITE AND AAA AUTO SALVAGE ARE NOT ENDORSED OR APPROVED BY, AND ARE NOT IN ANY WAY AFFILIATED WITH, THE AMERICAN AUTOMOBILE ASSOCIATION, INC. ("AAA"). AAA MAKES NO REPRESENTATIONS ABOUT THE PRODUCTS AND SERVICES ADVERTISED AND OFFERED ON THIS WEBSITE. 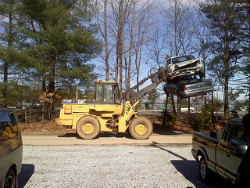 Auto Salvage Inc, serving Greensboro, NC, offers used auto part and used truck parts. Auto Salvage Inc yard has both new & used American and new & used foreign auto parts and truck parts. Stop by today for used tires, engines, transmission, batteries, wheels, alternators, glass, starters and more. We also buy late model wrecked cars. Call us today for more information or if you are searching for a particular part.